By studying how materials transform at ultra-low temperatures, a Missouri S&T theoretical physicist hopes to discover new states of matter. Funded by a $229,000 grant from the National Science Foundation, Dr. Thomas Vojta, professor of physics at Missouri S&T, is researching how slight changes in the chemical composition of materials can dramatically change their properties. "My research looks at quantum phase transitions – transformations of materials occurring near absolute zero – and how they take place," says Vojta. "In connection with these transformations, exotic new quantum states of matter can appear – for example, superconductors that can carry electric current without any losses." Until recently, it was believed that materials had to be cooled to temperatures below negative 400 degrees Fahrenheit – close to absolute zero – in order to transmit electric current with no loss, an effect known as superconductivity. Current research shows that some materials can become superconducting at warmer temperatures. But to reach room-temperature superconductivity – where the effect would have enormous technological impact – new kinds of superconducting states may be required. Once they are discovered, researchers could continue to improve the materials' superconductivity, leading to lower costs and faster advances in the field, Vojta says. 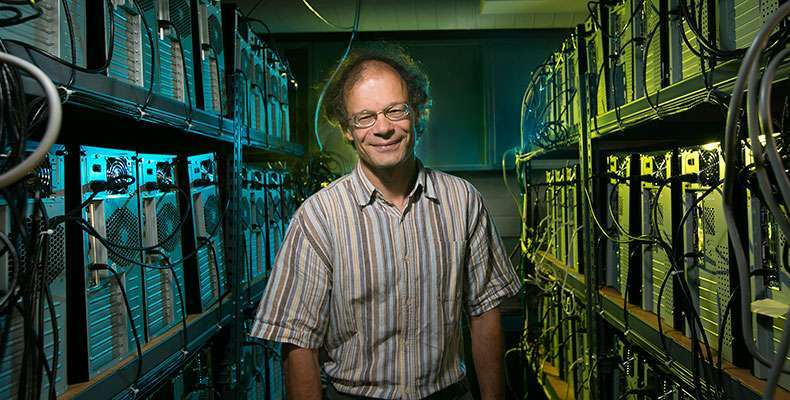 His research in quantum phase transitions could be one method of finding new states of superconductivity in certain materials. "Quantum property phase transitions are similar to the changes that occur when you boil water," says Vojta. "These abrupt transformations directly affect superconductivity, and we want to find out exactly how and why." Vojta uses a supercomputer he built with his colleagues and students to model these quantum phase transitions and to compute various materials' properties. Called the Pegasus IV High-Performance Computing Cluster, the homemade PC cluster is made up of 156 quad-core computer nodes that are used for computational research in condensed matter and statistical physics.